Can’t tell the difference between a machine screw and a connector screw? Don’t worry, Amazon just added an AR feature to their app to identify one from the other. 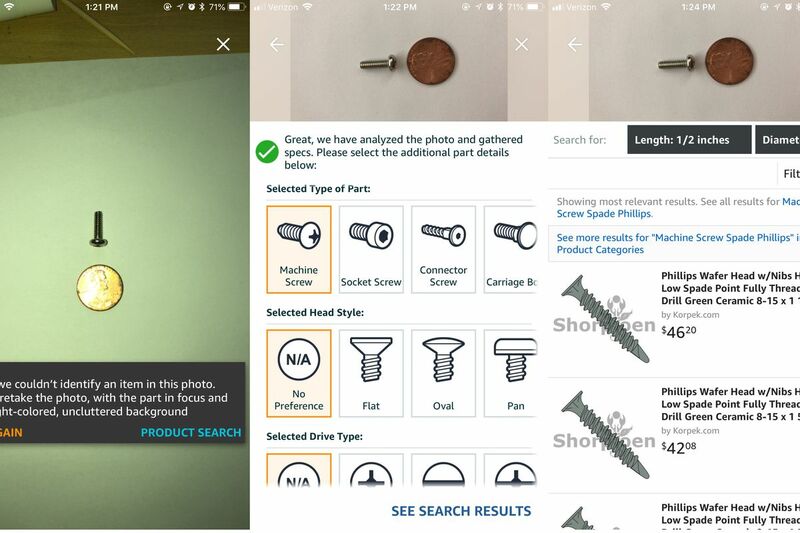 Part Finder uses the AR capabilities of the iPhone to measure the depth and width of the part. You must line it up next to a penny and on white paper, so you can’t identify the part anywhere. Some people have reported that even when aligned on white paper, the technology takes a few tries to get the correct result. People are always building stuff. You have to build that Ikea couch but they forgot to include the right number of screws? You can take a picture of it and Amazon, with Prime shipping, will mail it you in two days. This entry was posted in Case Studies and tagged Apps, Innovation by Jack Stein. Bookmark the permalink.